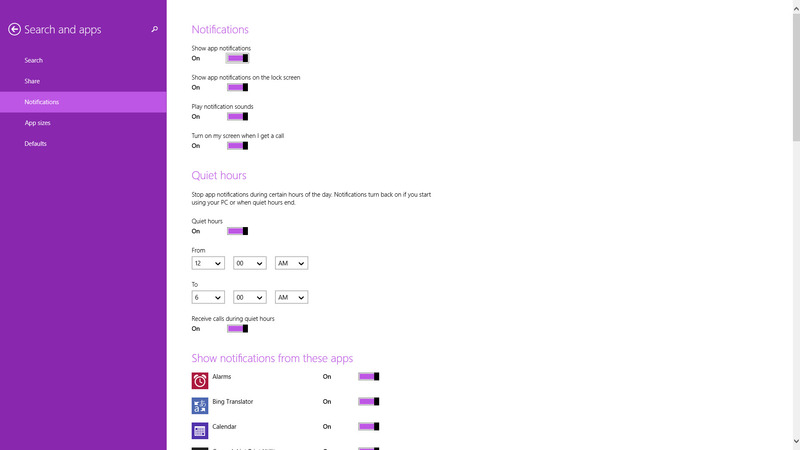 I was poking around my Windows 8.1 desktop this morning, and I was surprised to discover just how many applications have notifications turned on. There were over 50, and while many make sense for my workflow (Tweetium for Twitter udpates, Skype, Mail, etc. ), many simply did not. In particular, I had over 20 games installed with notifications turned on, and I just can’t think of a good reason why. I’m not sure if there’s any advantage in terms of battery life to turning notifications off. 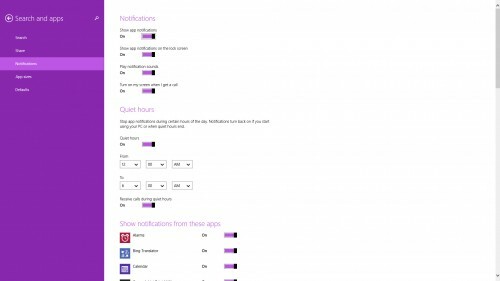 According to Steven Sinofsky on the Microsoft MSDN blog, Windows 8.1’s Notifications functionality is architected in such a way that having a plethora of notifications turned on shouldn’t have that significant an impact on battery life. This is particularly true if developers use the push notifications system built into Windows 8.1. Nevertheless, having too many notifications turned on, in particular ones that you ignore and that unnecessarily disrupt your workflow, is a bad thing in general. And so taking a few minutes to jump into settings and tweak notifications is probably worth it. You can turn notifications off completely, determine whether to show notifications on the lock screen, turn sounds on and off, and on a call-enabled device determine whether to turn on the screen when you receive a call. You also set Quiet Hours to avoid disrupting your sleep or work, and then turn notifications on or off for supported applications. I discovered that at least half of the apps with notifications turned on are ones that I simply don’t care about. I’ve turned them off, and whether or not that helps battery life, it will certainly cut down on the number of disruptions. And that’s a good thing.